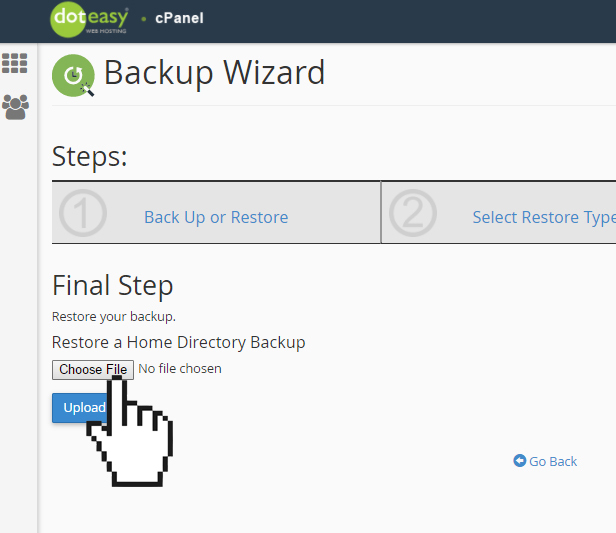 Click on the Backup Wizard icon. 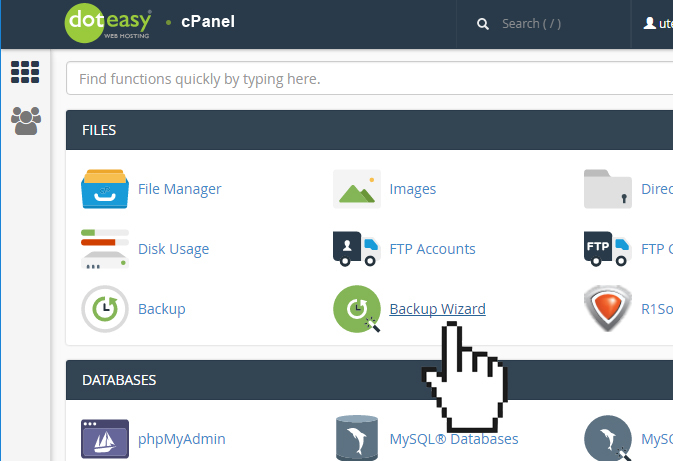 Select the portion of your website you want to restore. 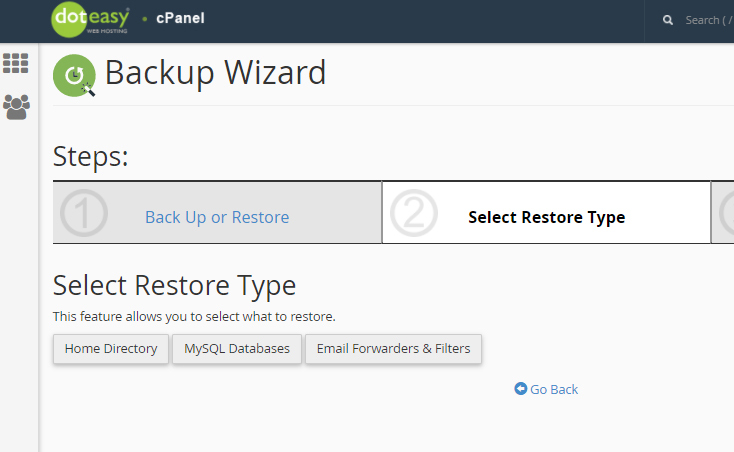 Select the file from your computer that you want to use for the restore request. 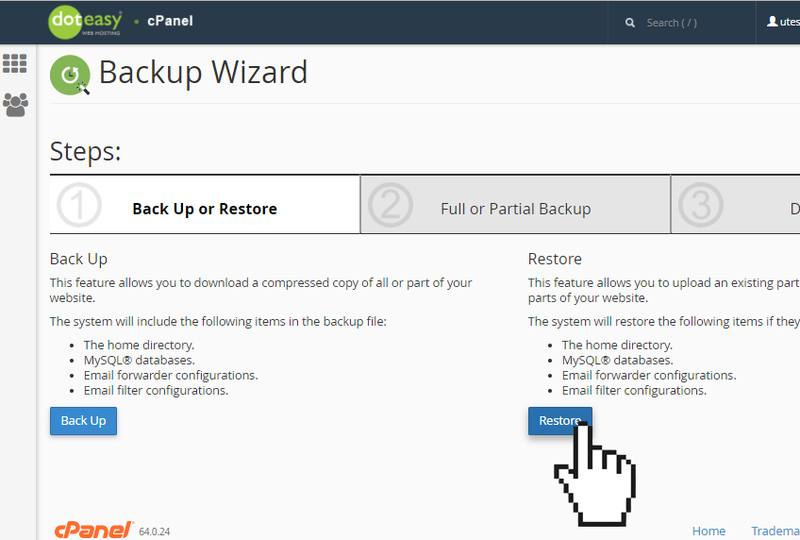 Click Upload to complete the restoration process.